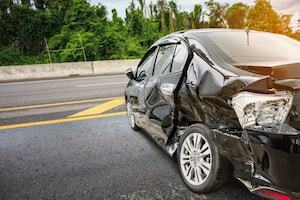 Failure to Give Aid After an Accident | Chicago Traffic Ticket Defense Lawyer The Davis Law Group, P.C. The law which governs Failure to Give Aid after an Accident can be found in the Illinois Vehicle Code under 625 ILCS 5/11-403. It provides that anyone who is involved in the accident has certain legal obligations under Illinois law. Failing to fulfill any of these obligations after an accident can result in criminal charges. There are two primary requirements under the law. First, anyone involved in an accident is required to share specific information with the other party. Second, anyone involved in an accident must provide aid to the passengers and driver of the other vehicle if there are any injuries. The law does not require that people who are driving past the accident or who simply observed the accident provide aid. If the other party is not in a condition to receive the information and a police officer is not present, you are required to go to the nearest police department to file a report after rendering aid as described below. You have to follow these requirements only if someone is injured and requires treatment or if medical assistant is requested by the other party. Failure to give aid can result in serious criminal charges. Failure to Give Aid is a criminal charge under Illinois law. Specifically, the offense is charged as a Class A misdemeanor with a maximum penalty of up to one year in jail and a fine up to $2,500.00. If you are charged with Failure to Give Aid in Illinois, including Chicago or throughout Cook County, you are encouraged to discuss your case with an experienced attorney. The Davis Law Group, P.C. has successfully represented numerous clients charged under Illinois Vehicle Code 625 ILCS 5/11-403. The traffic and criminal defense attorneys at our firm have decades of combined experience. Contact us today so we can help you understand your options and discuss the most appropriate strategy. We are here to provide you with the legal representation you deserve.